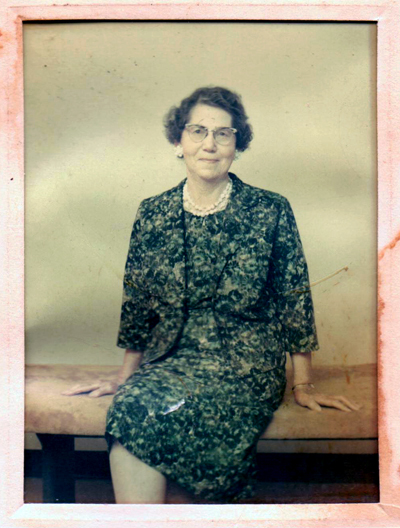 ​My mother, Clara Gartner, came from a close knit and hard working family. Her parents, Paul and Caroline Gartner, lived at 238 N. Monroe. 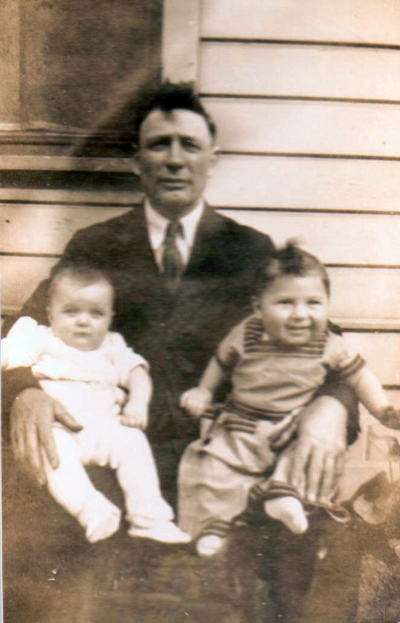 My grandfather, Paul P. Gartner was born in Odessa, Russia on March 25, 1887 and died May 30, 1959 in Portland. He was buried at the Rose City Cemetery. My grandmother, Carolina (later Caroline), was also born in Odessa on May 13, 1890. She died in Portland on March 1, 1972. Paul Gartner with grandchildren. Courtesy of Ron Folck. Caroline Gartner. Courtesy of Ron Folck. Paul's father, Paulius Gartner, was a doctor in Odessa. Paulius and his wife Johanna (maiden name of Pfaff) had three sons: Paul, Simon and Jacob. Paul lived in Freidorf, Russia until he was 21 and farmed with his brother. Paul learned that land was available in Montana and he decided to immigrate to the United States to start a new life. He departed from Europe at the port of Bremen, Germany on the steamship Main on October 19, 1908 and arrived at Ellis Island in New York on October 29th. He then settled in South Dakota for a short time and became a U. S. citizen on September 4, 1920. Paul filed for a homestead in Boxelder, Montana in Chouteau County and was granted 160 acres by President Warren G. Harding on September 27, 1921. Paul and his wife Caroline lived there with their five children; Lidia, Martha, Herman, Clara, and John. The area at the time was unsettled and ranching proved to be very difficult. My mother lost an eye at the age of six and had health problems over a long period of time. The family was happy but struggled to make foothold on a strong foundation. The family farm was eventually bought out by the St. Anthony and Dakota Elevator and Oil corporation. Always an optomist, Paul packed up the family and set off to Portland in 1936. The family established themselves and Paul obtained employment with Oregon Pipe, working as a boilermaker outfiting ships for the war effort. Paul and Caroline purchased a home at 238 N. Monroe and they lived there until 1972 when the home was purchased by the Emanuel Hospital for a new addition. 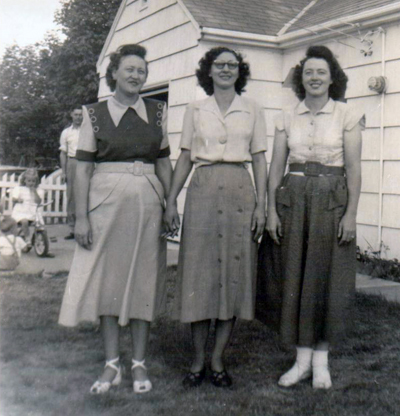 Three Gartner sisters from left to right: Lidia, Clara and Martha. Courtesy of Ron Folck. 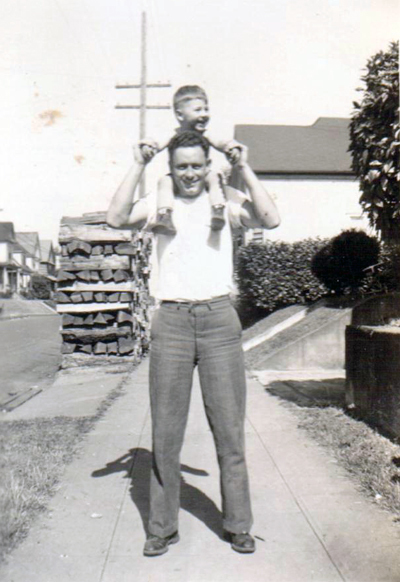 Herman Gartner holding his nephew, Ron Folck. Courtesy of Ron Folck. ​When I was older, my mother told me that my great grandfather, Paulus, was found on a doorstep in Odessa and adopted as a baby by the Gartner family. The Gartners were Black Sea Germans. Paulus thrived with his adopted family, went to medical school and became a prominent doctor in Odessa. After the Bolshevik Revolution in Russia, Czar Nicholas and his family were executed. Before the Revolution, many people of the upper classes saw what was coming and left Russia in large numbers. Paulus planned to leave but was arrested and executed by the secret police before he could make his escape. The story passed down through the family tells that Paulus invented a medical device or treatment and wanted to market it in the United States. He sold all of his assets in Russia and planned to join his son Paul who was living in Boxelder. Sadly, he was taken off the ship and executed. My grandfathers brother, Simon, who immigrated to Boxelder a year later, tried to find out what happened to his father. Simon also sent a letter to my grandfather telling him that the secret police were also coming after him. He sent a second letter saying that Paulus's brother had also been executed. My mother lost the letters so I may never find out the real truth. Clara Folck (née Gartner) with her son Ron and brother Johnny. Courtesy of Ron Folck. 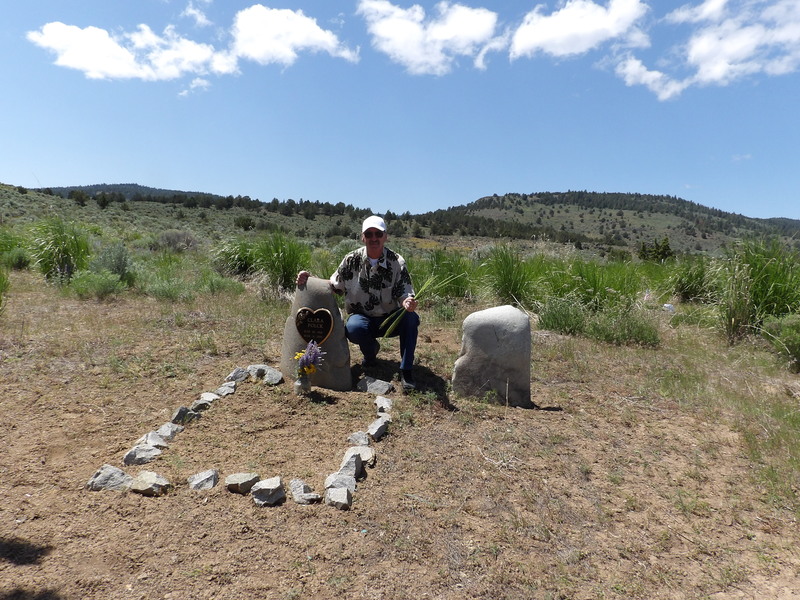 Ron Folck kneels at the gravesite of his mother, Clara Folck (née Gartner,) at the family ranch near Unity, Oregon. Written by Ron Folck in February 2013 and used with his permission.